See this link for images of this comet taken by club members. Members of the society met at Richard's House near Hurstbourne Tarrant for the Annual Club Barbecue, which coincided with the Perseid Meteor Shower. The barbecue was a lot of fun and the skies were clear afterwards so we managed some excellent observing, although not many meteors were seen. 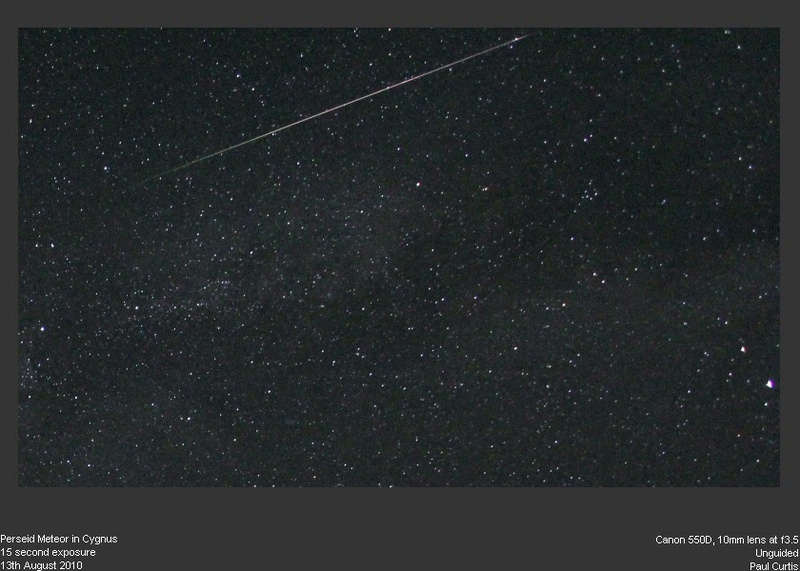 See image left of a Perseid meteor taken the night before (12th) by Paul Curtis.